Please note: If you donate to The Chantal Dubois Memorial Fund, please be aware it is not yet a registered charity. You will be provided with a receipt, however you would not be able to use it for tax purposes. If you prefer to donate to a registered charity and receive a tax receipt, please go to the BCCCPA website. They would be very grateful for your donation. 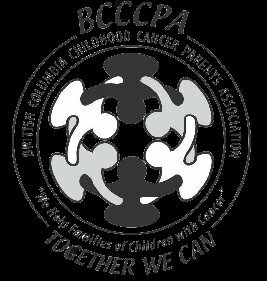 Shelly is a proud supporter of the British Columbia Childhood Cancer Parents Association (BCCCPA). You can get more information about BCCCPA by clicking HERE or on the image below.